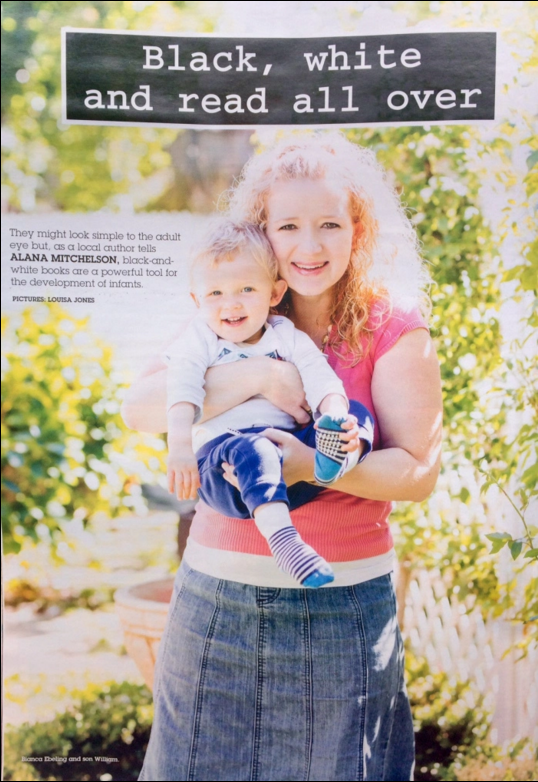 I recently caught up with the lovely Alana from Geelong Coast Kids for an interview about the ‘Let’s go outside’ and the wonderful benefits of black and white books for newborns. Black and white or contrasting toys such as mobiles, rattles, books, taggies and other exciting toys will grab your baby’s attention far better if they are the right colours. In your baby’s early months try to resist the pale blue and pink toys and go for the black, white and red one. My Little Booky Wooky has created a wonderful range of products that are the ideal for parents to create an engaging activity for their newborns by placing them in front of their baby during tummy time, nappy changes or opposite them in the car seat.